It’s 2018 and your girl is back blogging – sorry it took this long. The new year new me is really taking it’s toll (I’m kidding). I hope you all had a fabulous new year. 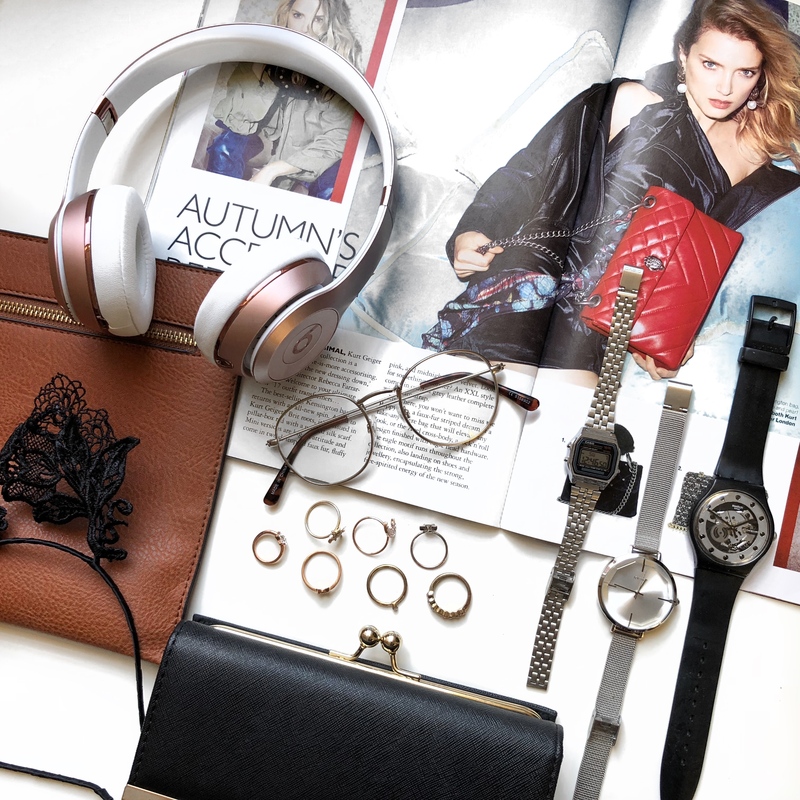 Accessories is something that doesn’t get much attention when planning an outfit unless you really have it all planned out from A-Z. I just wanted to share a couple of tips to make styling and accessorizing an outfit that much easier. 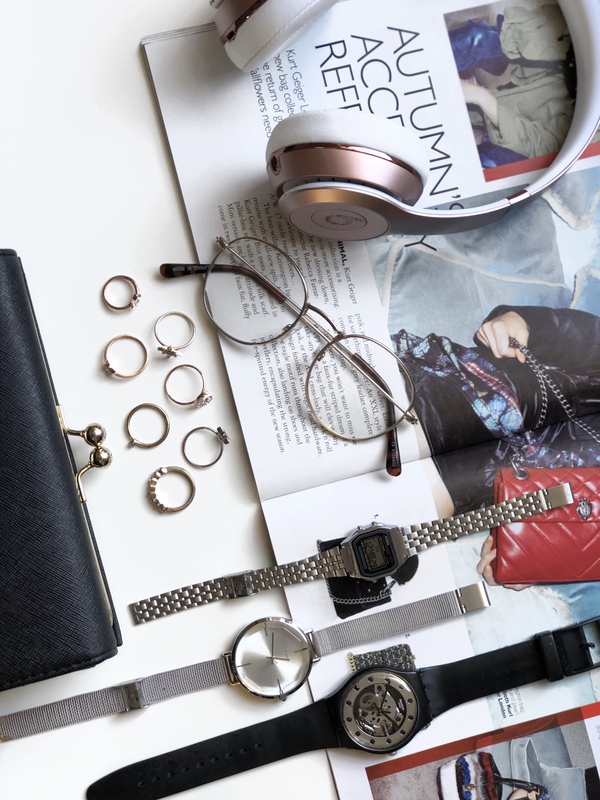 Don’t be afraid of metal – Mixing your metals is a fabulous way to add to an outfit. Whether that’s a long necklace with a shorter one and one’s gold and the other’s silver, this is a cool way to accessorize and not be too matchy matchy. Non – prescription glasses are a vibe – Personally, I don’t wear glasses and the non-prescription glasses trend is such a vibe there’s so many cool styles you can purchase on Asos and other stores. There’s something to suite everyone and it’s such an easy way to add that little bit of sophistication to an outfit or a bit of a quirky look (glasses frames say a lot trust me). 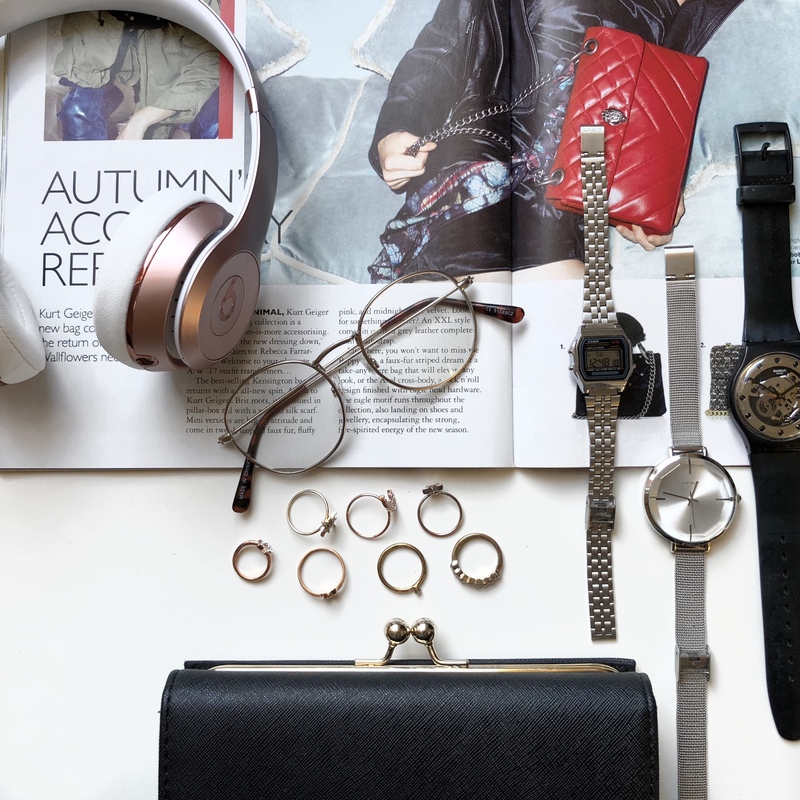 Practical accessories are fashionable – Watches are one of my favourite accessories and always have been. Recently I’m loving my retro-esque Casio I mean you can change it up whenever and they’re practical. Always remember just because it’s practical doesn’t mean it can’t be fashionable. 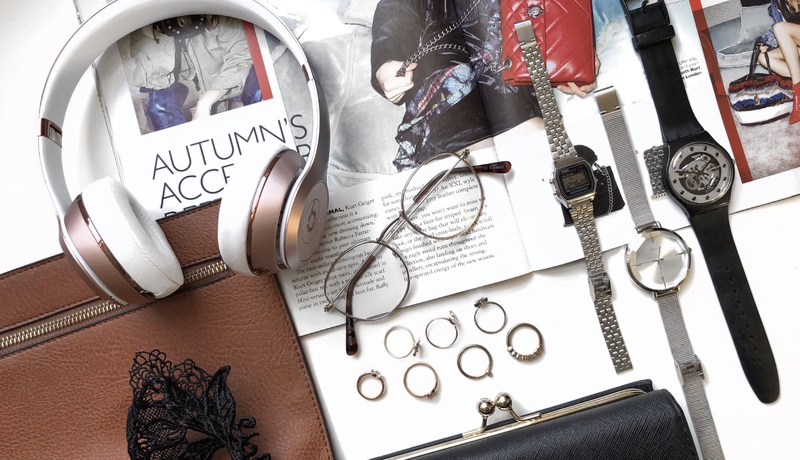 Headphones count too – A music lover like me who lives with earphones\headphones in, it’s such an easy accessory and there’s so many cool styles to choose from. I have been in love with my Rose Gold Solo3 Wireless Beats. I have also got my eye on some cat ear headphones from Urban Outfitters which are super cute too. Purses aren’t just for money – Finally, another accessory I love. Having a purse isn’t just to put them coins in it’s such an easy way to add to an outfit whether its a envelope clutch or just a purse it’s a great way to add colour and style. 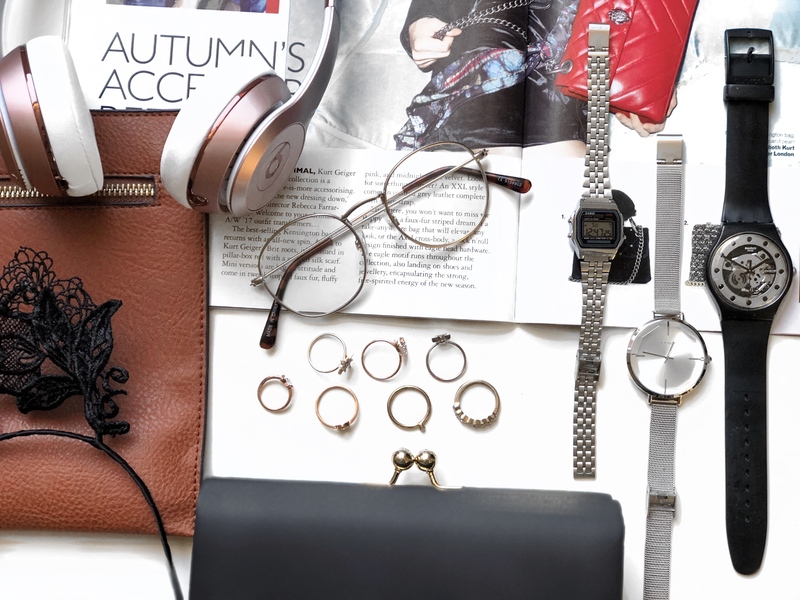 What’s your favourite way to accessorize? Comment below. « Tips and tricks for an Instagram-able scrapbook!